The acclaimed PBS miniseries, featuring lavish film versions of Shakespeare’s history plays, returns to THIRTEEN this month for a second season, The Wars of the Roses. Filmed in locations around the UK, it picks up the story with Henry VI (Sun 11th and 18th, 9 p.m.) and Richard III (Sun 25th, 9 p.m.). The starry cast features some of the UK’s finest acting talent, including Benedict Cumberbatch as Richard III; Tom Sturridge as Henry VI; Sophie Okonedo as Queen Margaret; Hugh Bonneville as Humphrey, Duke of Gloucester; Judi Dench as Cecily, Duchess of York; Sally Hawkins as Eleanor, Duchess of Gloucester; Keeley Hawes as Queen Elizabeth; and Michael Gambon as Mortimer. In two of the films, Cumberbatch, best known as detective extraordinaire Sherlock Holmes in the popular Masterpiece series, takes on the role of Richard III — Shakespeare’s most notorious king, who manipulates his way through the court on a bloodthirsty and ruthless path to the throne. In an interview, he remarked on the challenge of playing the part on screen. “Physicality has always been at the center of playing Richard III. He is described as being a hunchback with disproportionate legs. On camera, anatomical accuracy is even more important because of the scrutiny of the lens. By contrast, on stage Richard’s body has always been something to hide,” he said. There’s no hiding the fact that Shakespeare’s history plays, though centuries old, are as vital and relevant as ever. “They’re about everything we’re facing (today): the debates about immigration, who we ally ourselves with, how deep the divides go within a society,” Cumberbatch observed. On a more festive note, Shakespeare Live! from the Royal Shakespeare Company (Fri 23rd, 9 p.m.) celebrates the legacy of Shakespeare in all the performing arts with a jubilee party taped in The Bard’s hometown of Stratford-upon-Avon on the 400th anniversary of his death. Hosted by David Tennant and Catherine Tate, the Great Performances special features a galaxy of stars bringing Shakespeare’s best-loved characters and scenes to life, including Benedict Cumberbatch, Judi Dench, Joseph Fiennes, John Lithgow, Ian McKellen, Helen Mirren, David Suchet, Prince Charles, the English National Opera, the Birmingham Royal Ballet, and the Orchestra of the Swan. Major funding for Great Performances is provided by The Joseph and Robert Cornell Memorial Foundation, the Anna-Maria and Stephen Kellen Arts Fund, the Irene Diamond Fund, the LuEsther T. Mertz Charitable Trust, Rosalind P. Walter, The Agnes Varis Trust, The Starr Foundation, the Kate W. Cassidy Foundation, Ellen and James S. Marcus, The Philip and Janice Levin Foundation, the Lenore Hecht Foundation, The Abra Prentice Foundation, Jody and John Arnhold, and PBS. 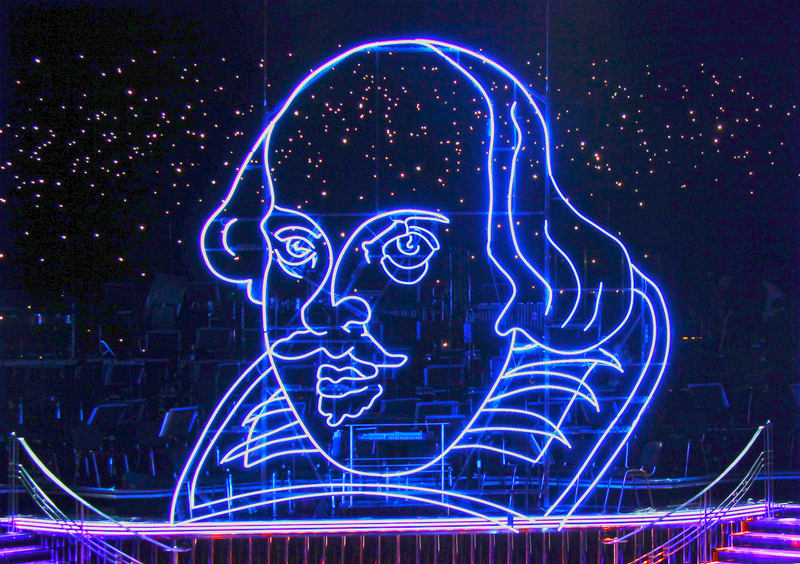 Additional funding for Shakespeare Live! from the Royal Shakespeare Company was provided by The Lewis “Sonny” Turner Fund for Dance.